ABOUT THE BOOKAs the world changes and the US becomes more competitively challenged by other economies it is easy to see that those who want to fill leadership positions will have to become more skilled and versatile. The US is no longer the automatic leader in many instances and as some would say, the rising of the rest provides opportunities and challenges for many, different from those of our t… raditional leaders. 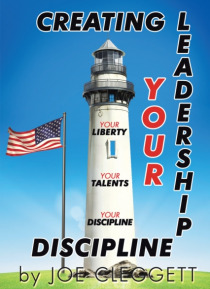 Creating Your Leadership Discipline shows how the advantages of those educated in a free society with a higher education system that has a talent meritocracy rather than an exam meritocracy still have an advantage in becoming the leaders the world needs today. The book provides an overview of how the world has changed economically, politically, culturally, and technically. It examines a lot of what has been written on developing leadership qualities and provides an overview of many books pointing out pertinent aspects required for good leadership. It makes the case that learning and understanding ones talents and then developing a discipline to promote and improve those talents will help to create a better leader. The Authors writing style includes enjoyable short stories to help the reader learn about their talents and develop their disciplines. The book also drives home the point that being brought up in a free society really is an advantage in leading others with interpersonal skills and emotional intelligence; qualities necessary for todays leader.